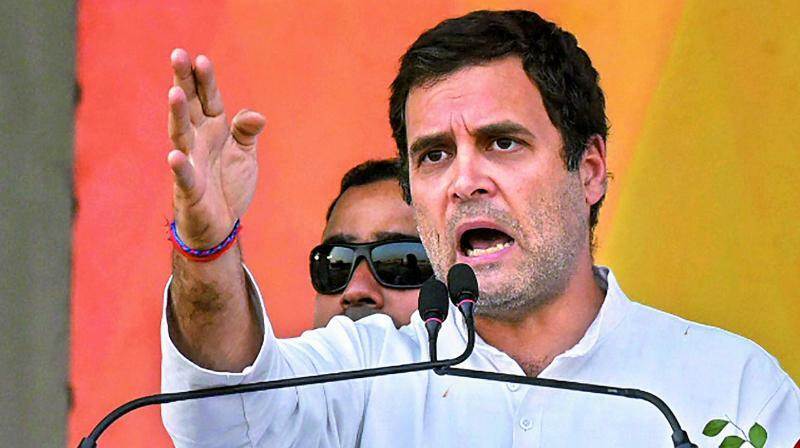 Ahmedabad: Congress president Rahul Gandhi used his first election rally in Gujarat for the April 23 Lok Sabha elections to hardsell the NYAY, the manifesto highlight. “Through NYAY, we are going to deposit Rs 72,000 into the bank accounts of poor families. This is a historical scheme and it will change the economy. You will see that NYAY will work like magic,” Mr Gandhi said at Mahuva on Monday.